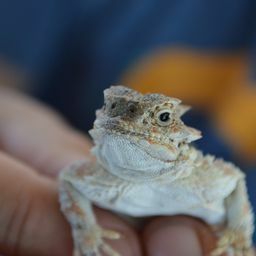 A desert horned lizard (Phrynosoma platyrhinos) sits on the shoulder of a man conducting a reptile study in Eastern Oregon. 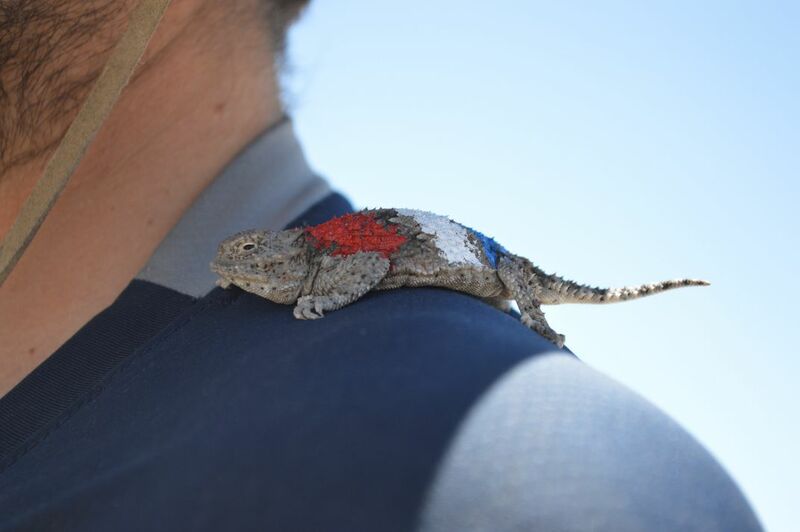 The lizard is painted with red, white, and blue paint marks for identification and observation of the individual. Date Uploaded: Aug. 12, 2018, 3:14 p.m.